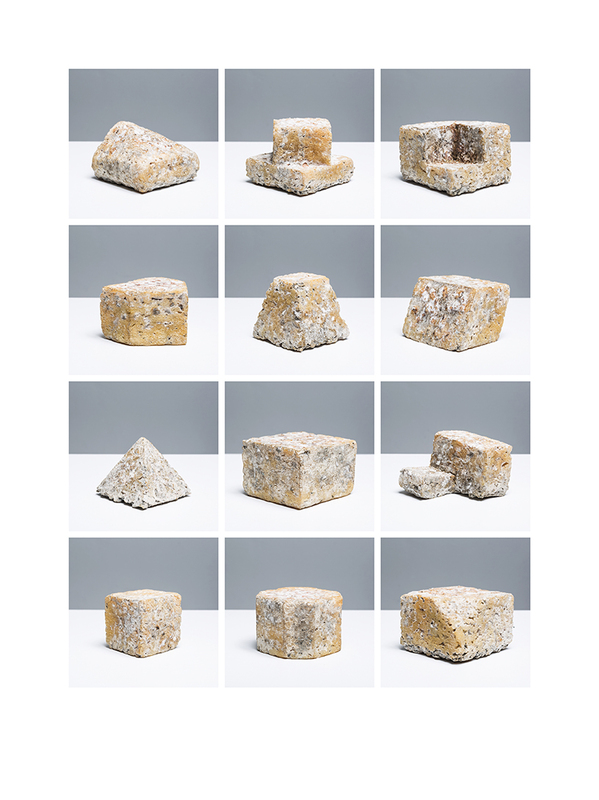 The ongoing project Specific Cheeses started in 2010 when Nicolas Boulard realized the shape of the French goat cheese made in Valencay looked exactly like a truncated pyramid drawn by Sol LeWitt. 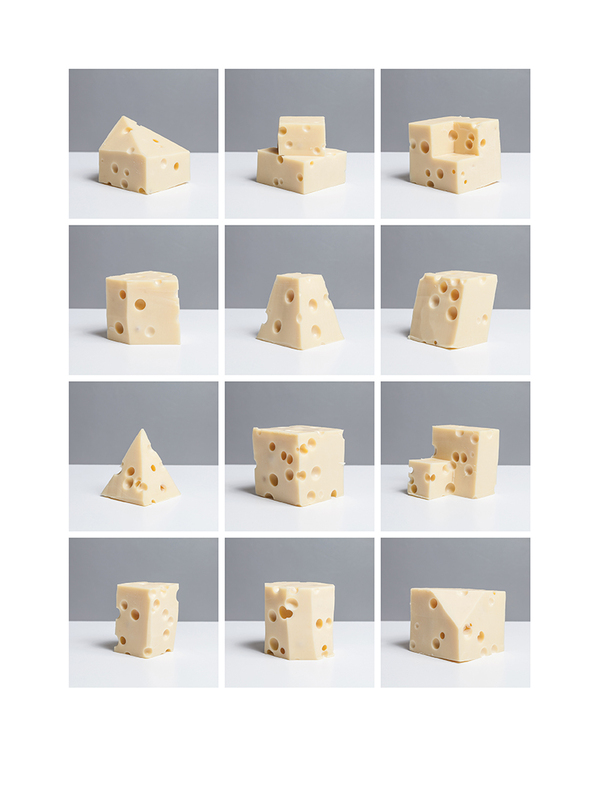 First, Boulard gave a series of lectures on the existing similarities between traditional cheese forms and the three basic geometric shapes of minimalism (circle, square, triangle). 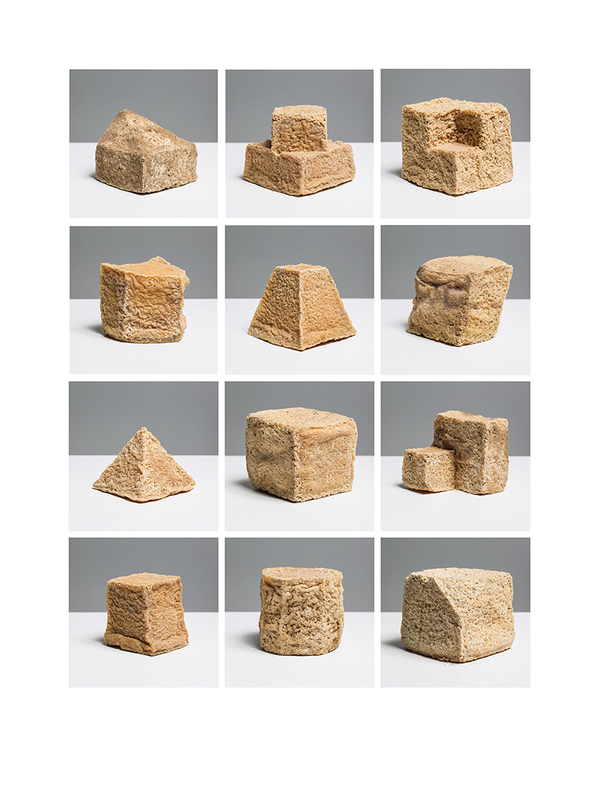 Following this brillant theoretical tour de force reconciling organic cheese with the history of sculpture, Boulard made 12 polyethylene molds out of LeWitt’s ’12 Forms Derived from a Cube’ – a portfolio of 12 plates published in 1982. 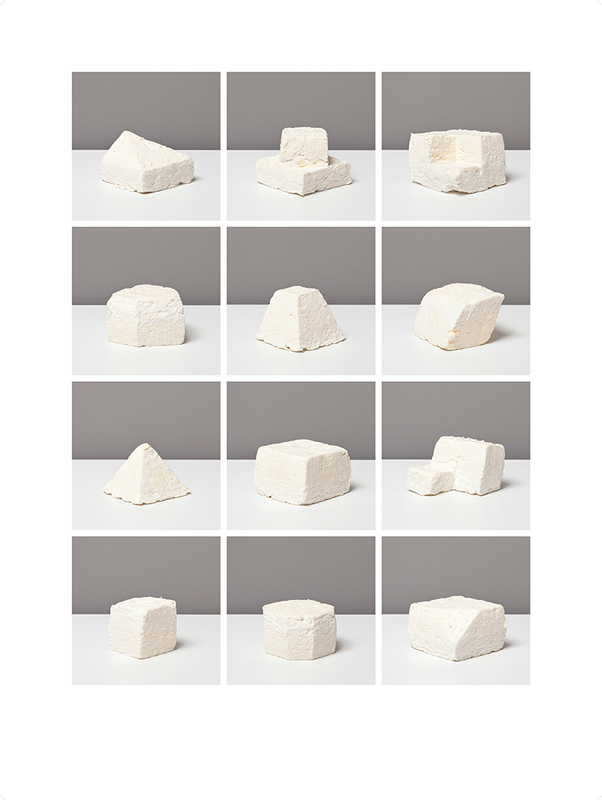 The title Specific Cheeses refers to Donald Judd’s seminal essay on minimalism ‘Specific Objects’ (1964). Each time Boulard is invited to present this project, he makes cheeses in collaboration with a local producer out of the 12 existing molds. After the Chavignol and the Brie de Meaux, Boulard collaborated with San Francisco-based Cowgirl Creamery to make a bloomy rind triple cream cheese. The work is composed of a photograph of the 12 cheeses made on the occasion. Boulard photographs each item separately using the same devices as conceptual photography. The cold and neutral shots of creamy organic cheese are then ordered in a grid to reflect the objectivity of a minimalist layout. Boulard also created the ‘Fraternity of Specific Cheeses’ whose 12 members perform ceremonies reappropriating Freemasonry’s rituals and Hell’s Angels style.